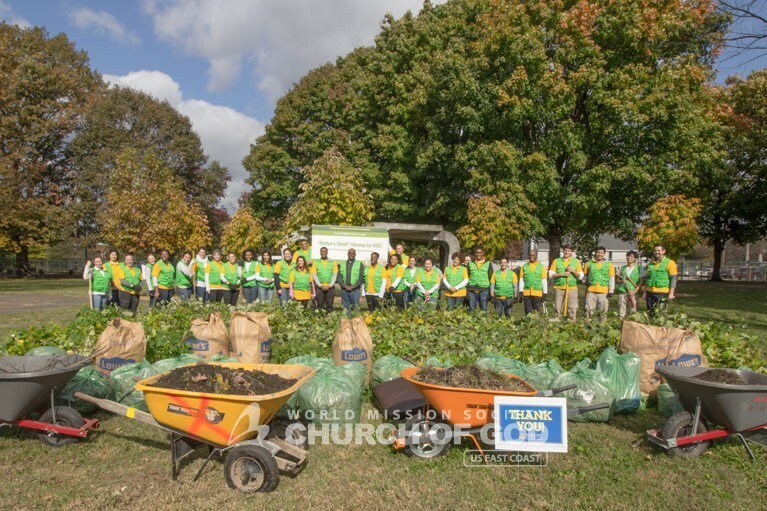 On a frigid October morning, 35 volunteers from the World Mission Society Church of God and ASEZ got ready to carry out the Ben Washer Park cleanup. ASEZ, which means “Save the Earth from A to Z,” is composed of Church of God’s university students. The students work together with universities, communities, and governments worldwide to solve social and environmental issues. The Ben Washer Park cleanup was part of ASEZ’s crime prevention initiative, “Reduce Crime Together.” The initiative is based on psychological and sociological evidence that shows the relationship between neighborhood cleanliness and crime reduction. Ben Washer Park is located between two universities in the downtown Louisville area—the University of Louisville and Spalding University. At the park, the volunteers met with the Parks and Recreation coordinator and briefly went over the day’s activities. 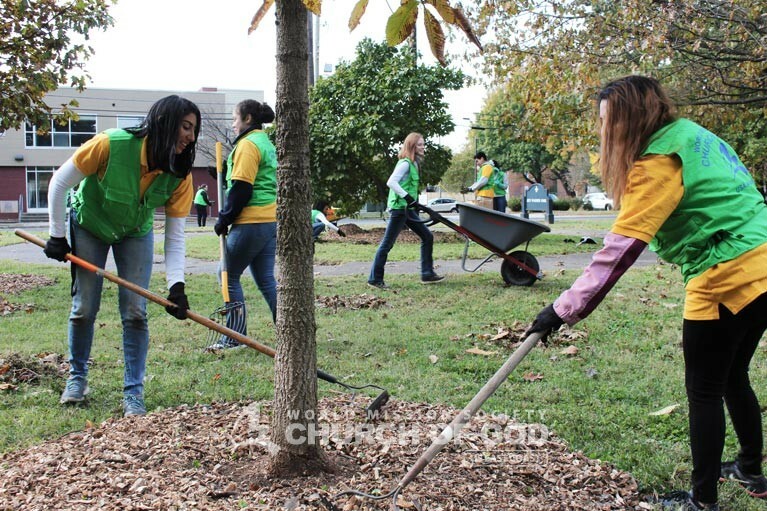 The projects were split into six different sections: mulching, horse-shoe box construction, weeding, raking leaves, trimming the trees, and picking up trash. Each one of these projects contributed to the health and atmosphere of Ben Washer Park. After a brief explanation, the volunteers split into their different teams and started working energetically. ASEZ volunteers beautified Ben Washer Park, spreading mulch around the area. According to one of the ASEZ student volunteers, each volunteer worked diligently until Ben Washer Park transformed before their very eyes. During the cleanup, the volunteers were visited by the President of Louisville Metro Council, David James, who expressed his excitement over the event. 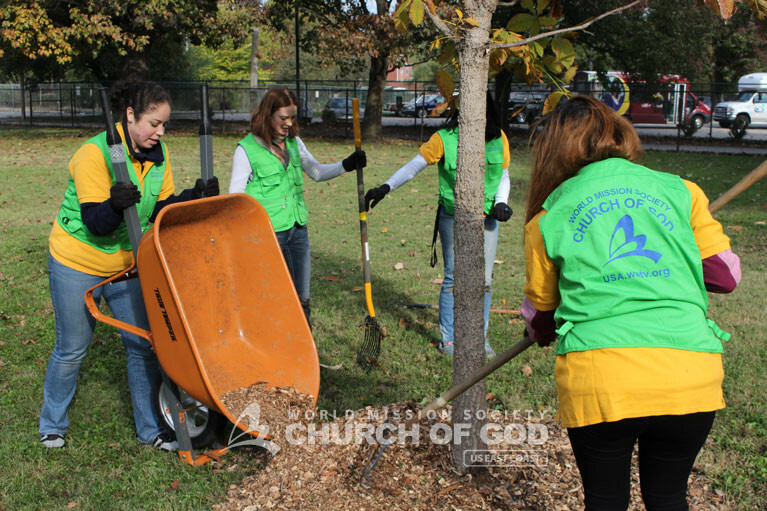 In total, the volunteers collected 55 bags of leaves and debris. Additionally, one-and-a-half dump truck loads-worth of tree trimmings. The volunteers believe that this effort made a huge impact on Ben Washer Park’s preservation. Furthermore, they hope that community members will be more motivated to keep the streets and parks of Kentucky clean, ensuring a safe and joyous environment. Contact us to learn more about volunteering with ASEZ. The volunteers from ASEZ worked with smiles knowing that their actions would brighten up the scenery and atmosphere of Ben Washer Park.